Truth be told, the place is a bit far from the touristic centre -you have to go after the Canottieri of Navigli- but it's worth it. Mauro comes from Bologna, but he's lived in Milan since 1969. He runs a family restaurant with dated aesthetics and dated recipes - and that's why it's so good. 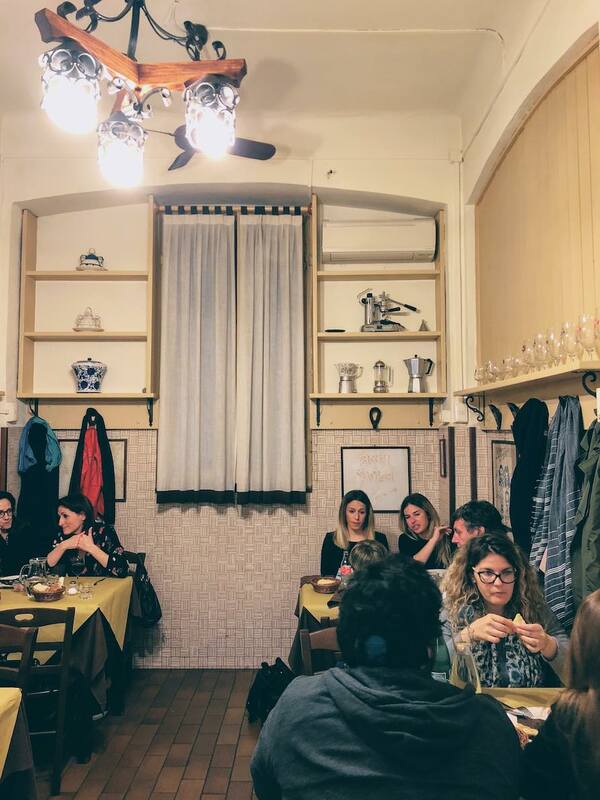 At Mauro's you won't see any of the pretentiousness of the Milanese crowds or the fashion aficionados. Here, it's all about the good company (that you're with) and the food. As simple as that. 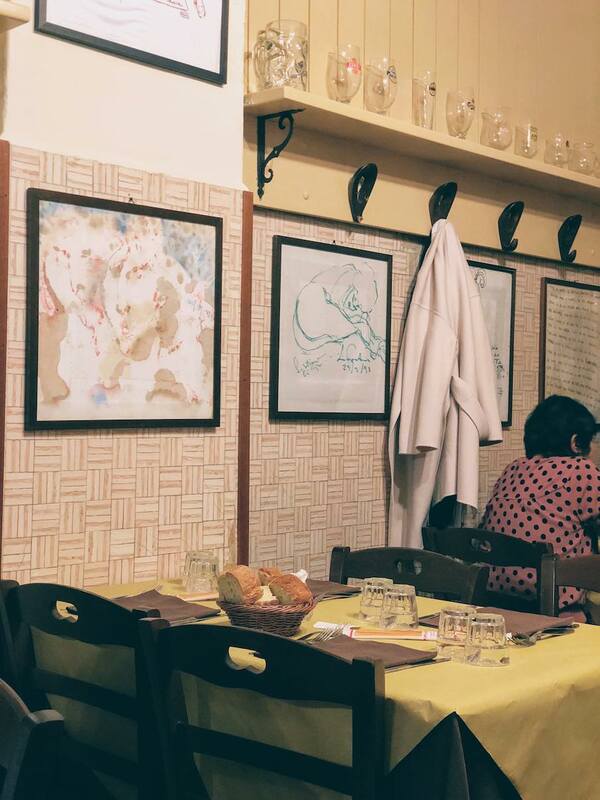 And if you notice the weird-looking paintings on the wall, these are actual used hand towels of artists that after enjoying a meal at da Mauro's, drew a "painting" for him. A colleague recommended the place and gave me clear directions as to what we needed to do: it was called 'Trio di Paste' and was a series of three pasta dishes you're free to choose! We went for the classic Tagliatelle al ragu (aka Bolognese) that came in a hearty portion with a deliciously light flavor, a rich and creamy Strozzapreti Pasticciati, and, finally, a lightly buttered Tortelloni Ricotta with a light touch of sage. All of them were exquisite! The menu includes the standard antipasti as well as a few secondi. But in all fairness, to Mauro you go for the pasta. And that's more than enough!